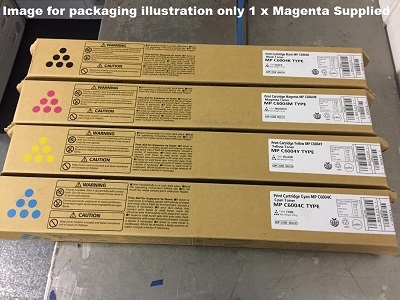 A professional quality product your office can reply on One (1) x Compatible Ricoh Magenta 841867 toner cartridge. If your office budget is feeling the pinch and you are on the look-out for substitute to pricey new Ricoh toner cartridges we have a cheaper to run yet tested top quality compatible printer cartridge that is the ideal solution to help you save on your printing costs, it is just the ticket and a tremendous value for any budget conscious office. Our compatible Ricoh 841867 Magenta toner cartridge offers outstanding print quality as good and will print the same amount of pages (22,500) as its Ricoh new counterpart, but at a fraction of the cash-outlay. This compatible MPC4503, MPC4504, MPC5003, MPC5503, MPC6003, MPC6004 Ricoh cartridge has gone through rigorous testing and quality control to ensure the highest level of quality, reliability and significant cost savings particularly ideal for busy offices or workplaces that print large amounts of newsletters, brochures, forms, letters and invoices. You will still achieve brilliant tones on all colour spectrums together with sharp text and knock-out graphics. Peace of mind printing is also yours with a 100% manufacturer print quality guarantee. 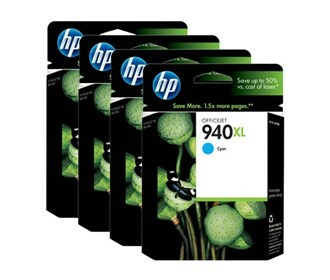 At around a saving of one hundred dollars per colour cartridge, can your office not afford to try a compatible Ricoh 841867 Magenta toner cartridge.